Next bookclub meeting: Wednesday, April 10, 2019 at 7 pm at the Bahá’í Center. All are welcome. 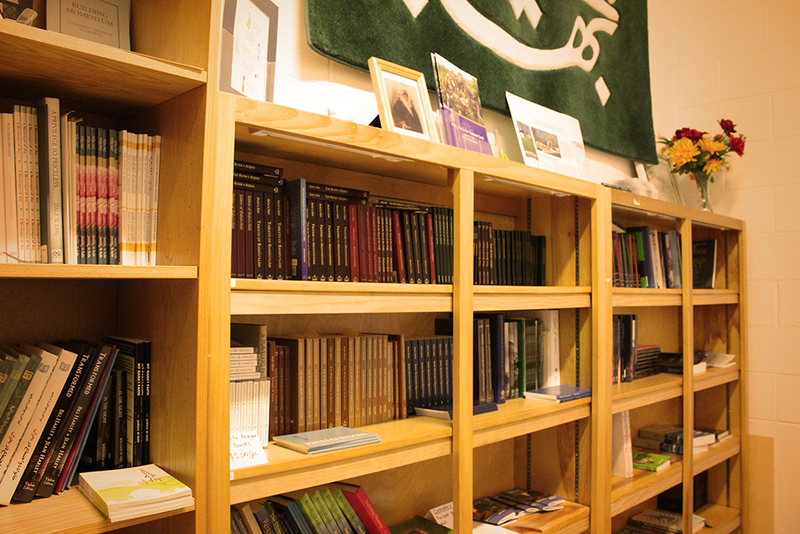 We will be discussing fasting practices, with member’s personal choice of books. Please come join us, and if you like, bring a book about fasting in any religion or for health. The Circle of Friends Book Club is one of the many groups that are meeting at the Baha’i Center of Washtenaw County. Dedicated to exploring books of all sorts, the group meets on the second Wednesday of every month from 7-9 pm. Both Baha’is and non-Baha’is are welcome at bookclub. Please join us for lively conversation, new information about books, and exchange of ideas in a comfortable small group atmosphere. Come and enjoy light snacks and lots of laughter too! A detailed outline of the results of our consultation is available from bookclub members or by emailing circleoffriendsbooks@gmail.com. 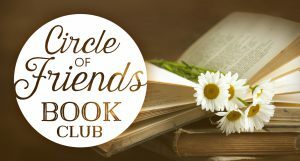 Please come and join us at any bookclub meeting! Visit the event calendar for more info on upcoming book club dates. January’s meeting was a discussion on individual selections of books on the theme of stereotypes and the elimination of prejudice, and included sharing personal stories and experiences in this area as well. The conversation moved across the globe from the United States to Japan (where very close attention is paid to blood types when deciding who to marry), to the caste system in India, to the mistreatment of Baha’is in Iran. Participants pointed out that stereotypes and prejudice are not only about color, and there can be social prejudice about intellectuals versus non-intellectuals, and even against non-drinkers of alcohol. Overall, the discussion was lively, thoughtful, and far-reaching, so that time ran out before some of the books members brought could be discussed (Life on the Color Line by Gregory Howard William and The Lemon Tree by Sandy Tolan). The discussion included presentations by book club members of The Content of Our Character, by Shelby Steele (twin brother of the author of our February selection) and The Nature of Prejudice by Gordon Allport. Last month’s meeting was a reflection/consultation on the previous six months and plans were made for the upcoming six-month period. The group decided to continue the use of themes to organize our schedule (see above). The themes chosen for upcoming months are: stereotypes and the elimination of prejudice, fasting practices, and women who make/made a difference. In addition to the themes (and books) listed above, several ideas were discussed that may be utilized as themes as the book club continues. These included issues from current events, such as immigration, refugees, climate change, gun violence, and the opioid crisis. Another area members are very interested in is faith and religion, including faith traditions, sacred music, art and architecture in various religions, and how different faith traditions approach some of the current issues in society. Past book club selections have included Racial Healing: A Safe Place to Talk About Race by Sharon E. Davis, W.E.B. Du Bois’ The Souls of Black Folk, The Warmth of Other Suns by Isabel Wilkerson and The Lemon Tree by Sandy Tolan. Selections are chosen by group consensus. There are also meetings that are centered on individual choices brought to share with the group. Club members have been introduced to a wide variety of books of all genres, both fiction and non-fiction. Books brought by individual members to share have included: Monkeys, Myths, and Molecules by Dr. Joe Schwarcz, Fracture: Barack Obama, the Clintons, and the Racial Divide by Joy-Ann Reid, Race Amity: A Primer on America’s Other Tradition by W.H. Smith and Richard Thomas, and Bahá’í Black Men’s Gathering by Frederick Landry, Harvey McMurray, and Richard Thomas. Dedicated to exploring books of all sorts, the group meets on the second Wednesday of every month from 7-9 pm. Both Baha’is and non-Baha’is are welcome at bookclub. Please join us for lively conversation, new information about books, and exchange of ideas in a comfortable small group atmosphere. Come and enjoy light snacks and lots of laughter too!